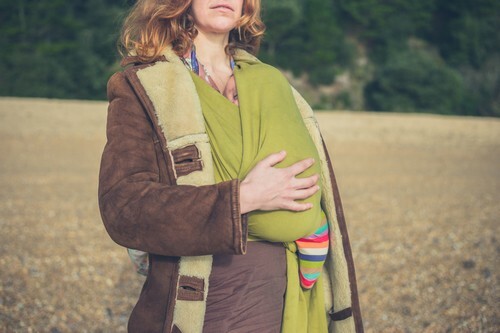 When Can I Take My Newborn Out and About? Your baby is here and you’re ready to show her the world—but is it safe yet? The good news is that unless your medical health team has advised otherwise (like if your baby is born prem or has an immune-suppressed condition), you can hit the town with your brand new bubs as soon as you’re up for it. And also, it’s actually suggested you do so—fresh air and a scene change is important for both of you! That being said, not every scene is a breath of particularly fresh air; there are some places you would do better to avoid until your little one is old enough to withstand a congregation of germs—like shopping malls and restaurants. Wait until at least 6 weeks to venture to places like these (thank goodness for takeout and Amazon, right?). On a similar note, keeping visitors to your own home at a minimum is probably wise. Because, quite simply, babies are irresistible, and cuddles can be germy, too. For those who do come to call, don’t be afraid to ask them to wash their hands before they touch your newborn. And finally, if it’s cold, don’t let that keep you indoors; layer up your little one and wear her in a carrier to keep you both toasty. If it’s really harsh outside, though, rather snuggle up inside until the mercury climbs a little. 8 Things Mum Wants for ChristmasMy Baby Has Fallen Asleep in Her Car Seat—Is it Safe?